Clark Lea got the final piece to his first recruiting puzzle on Wednesday, when 2019 California defensive end Isaiah Foskey‍ announced his pledge to Notre Dame. But most of Lea’s work was done several weeks ago as 12 of the 13 defensive players in the class publicly signed during December’s early period. “We addressed some needs in the class certainly, but more than that, I think we got a bunch of winners,” said Lea. “We got guys from good programs, guys we built relationships with that really went deep. They chose to come to Notre Dame because they want to play in the gold helmet. I think there’s something to be said for that. I think that’s the kind of culture we want to create around here. The Irish brought in more early enrollees with the Class of 2019 than ever before with 10 total and four on defense. “It’s been really impactful,” Lea said of the freshmen who arrived on campus last month. “I think they’re still working through just getting their cleats in the ground so to speak with the winter conditioning aspect. These guys have really never been through a program that is going to be this thorough and this taxing. There’s an adjustment that takes place. Lea sees benefits to the early signing period, now in its second year. But it also prevents the Irish from taking a serious look at some prospects who may come on the radar later. 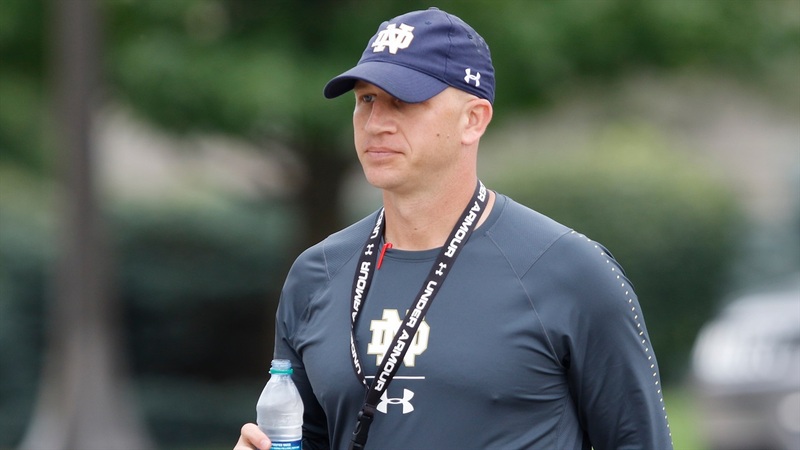 Lea took over as defensive coordinator a year ago, Notre Dame had already formed strong relationships with many of the players in this class and defensive tackle Jacob Lacey‍ had already committed. Lea embraces the responsibility of being even more heavily involved with the Class of 2020 and beyond.